Product prices and availability are accurate as of 2019-03-12 09:27:57 EDT and are subject to change. Any price and availability information displayed on http://www.amazon.com/ at the time of purchase will apply to the purchase of this product. - The Kingwork bucket heater designed to heat water only. Use for construction industry, animal husbandry, car washing, indoor use and many other jobs in cold weather. - Bucket Water Heater is only to be immersed up to the point of the electrical connection. Water level about 8" deep. 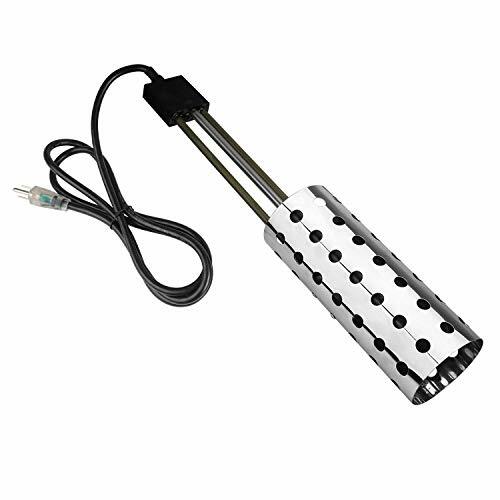 - The size of this electric immersion heater is perfect rested in 5 gallon bucket. - Handle and cord cannot be submerged. 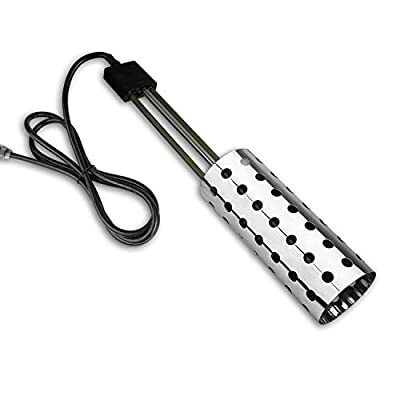 - The bucket heater is safe for use in all pails, buckets and bathtubs, will not damage plastic containers, make sure the container designed to contain boiling water. Applications - This Kingwork heavy duty and portable bucket water heater heats water only. Use for cold weather and travel. Perfect for winter time jobs. 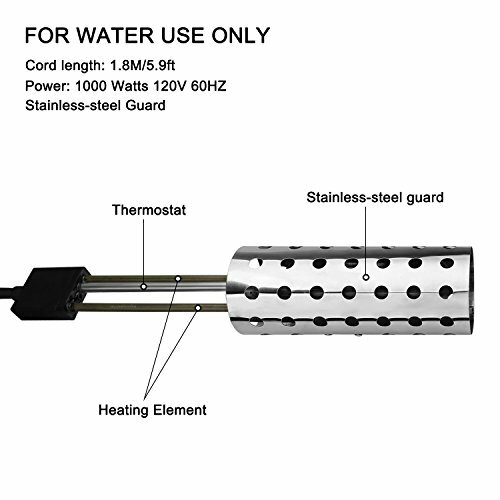 Thermostat Feature - The silver-colored stainless steel tube contains a thermal overload safety switch, it can automatically cycle on and off as needed to maintain water temperature. It will not overheating and save power. 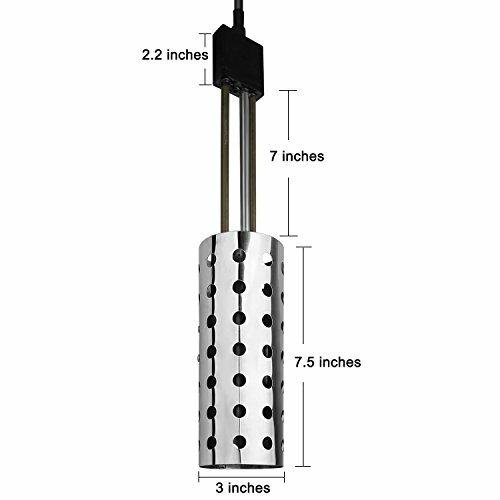 Guard - The stainless-steel guard on the electric bucket heater protects the heating element from directly contacting persons or animals. 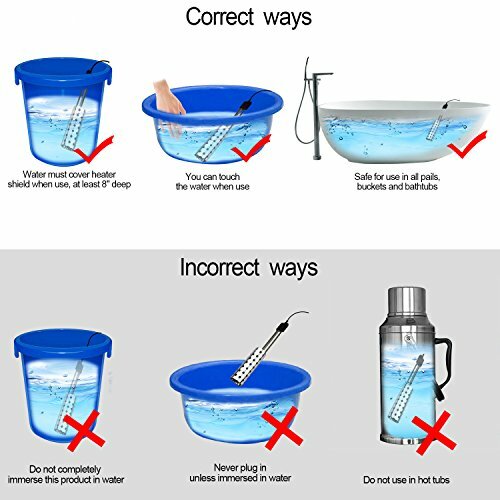 The heater is safe for use in all pails, buckets and bathtubs, make sure the container designed to contain boiling water. Simple Operation - Immerse in water at proper level. Plug into any grounded wall outlet. Check power indicator light in plug to make sure unit is on. It will heat water continuously over 180 degrees F and towards boiling. UL-Listed to the safety standards, 12-month warranty. Package included: 1 pack bucket heater + Manual.